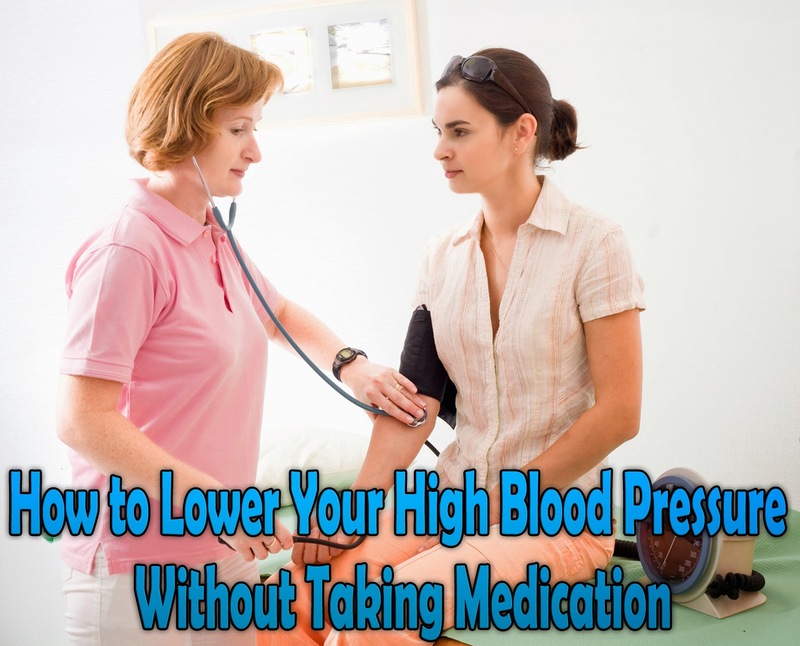 High blood pressure can creep up on a person without him or her knowing it but there are ways a person can lower high blood pressure without taking medication. One way to lower your blood pressure is to lose weight and be watchful of your waistline. In most cases, pressure increases as a person's weight increases. Statistics show that the more weight you lose, the lower the pressure becomes. In addition, losing weight also makes medication for this condition to work better. It is also important to watch your waistline, too. Too much weight around a person's waist can be a risk for heart disease. We all know the importance of regular exercise and it is especially important when it comes to lowering one's pressure. By exercising 30-60- minutes each day, you can lower your pressure significantly. Eating healthy is important for everyone and eating a diet that is rich in fruits, vegetables and low-fat dairy products such as milk and ice cream, can also lower your pressure. Too much sodium can also be harmful. Keep the intake of sodium in your diet to at least 2,3000 milligrams a day or less. Most importantly, limit the amount of alcohol you consume each day. Alcohol can be good for your health but if overdone, can also be a hazard to your health. Most of us know that stress can hurt our health; however, this is especially true for those who are employed at jobs that are stressful every day. Stress not only elevates a person's pressure but can also add stress to our physical and mental states of mind. There are several ways we can handle stress such as practicing deep breathing, exercising methods, delegating work out to others, taking time out to relax more and talking with someone you trust; such as a loved one or a mental health professional.